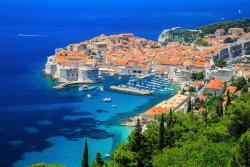 The coves and islands of the Adriatic make you dream? Take the opportunity to discover the treasures of the Balkans: the Plitvice Lakes, the navy Organ of Zadar, the Diocletian Palace in Split, the wines of Korcula, the paradise island of Mljet, the ramparts of Dubrovnik. Get away to Bosnia to discover the old city of Mostar or Montenegro to enjoy beautiful beaches or visit emblematic sites such as Kotor.